U.S. military dominance is no longer guaranteed as near-peer competitors have quietly worked to close the gap while the United States was preoccupied with two low-intensity wars in the Middle East. Recognizing that warfighters might no longer have a guaranteed technological advantage, the Department of Defense (DoD) is in the midst of an ambitious modernization program that seeks to ensure superiority in the future battlespace. The Third Offset Strategy, a successor to the Second Offset Strategy of the Cold War (which saw the development of the Army’s current big-five platforms to counter numerically superior Soviet conventional forces) is focused on leveraging emerging and disruptive technologies. In particular, human–machine teaming, also referred to as manned–unmanned teaming, will integrate people with autonomous systems or artificial intelligence to enhance decisionmaking speed. This will enable U.S. forces to react faster than future threats and achieve decision dominance. Near-peer competitors have taken concerted action to develop their indigenous robotics and autonomous systems. Russian President Vladimir Putin has called on their defense industry to create “autonomous robotic complexes.” The Russian Military Industrial Committee, responsible for Russian military industrial policy, has set a goal to replace 30 percent of all military technology with RAS by 2025, developing several models of remotely operated combat vehicles designed for a variety of missions, including direct combat. China has also made major strides in RAS by studying the U.S. deployment of unmanned systems and the Third Offset Strategy. 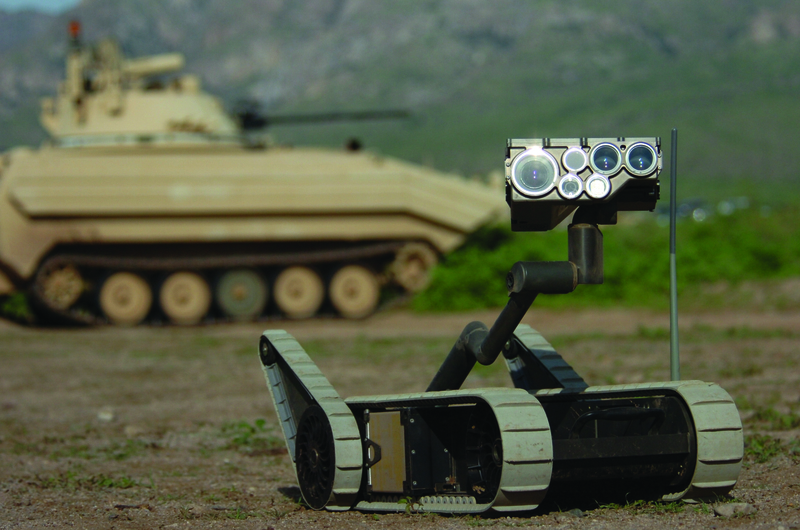 The U.S.–China Economic and Security Review Commission concluded that Chinese military thinkers posit that autonomous systems are contributing to an ongoing revolution in military affairs that “relies on long-range, precise, smart, stealthy and unmanned weapons platforms.” China’s intent is for robotics and autonomous systems, particularly artificial intelligence, to allow it to dominate the next generation of “intelligentized” warfare.